Move over dinner plates! 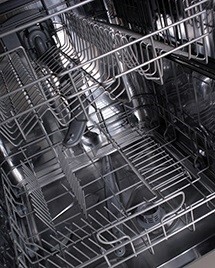 The dishwasher can actually be used to wash a myriad of strange items. Whether you find the list below helpful or just plain odd, please use caution and don’t mix your eatery into the same load as something super greasy—like an old hubcap. Nail clippers. Pop these in the silverware tray and they’re good as new.